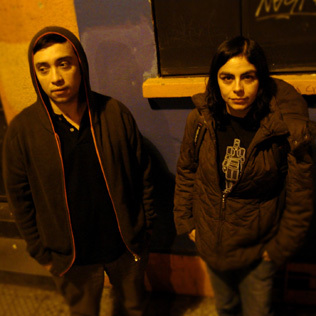 Manziping is an experimental musical project, founded by Alisu and Rolancho in 2000 in Valparaiso, Chile. The sound consists of abstract noises, battering beats and deep harmonies with his personal viewing of IDM, D&B, minimal, glitch, techno and progressive. The first self produced Manziping release was in 2001, one line nourished by trip-hop, D&B and breakbeat. Afterwards they played on different events in Chile and took part in the electronic underground there. In 2006 Manziping worked together with Pueblo Nuevo and Impar (Chilenean netlables) and published a compilation named "Memorias de un calabozo". This work consists of sounds that were recorded in the former prison of Valparaiso, Chile.